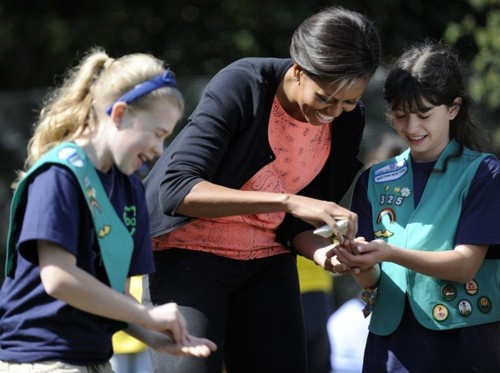 WATCH: First Lady Michelle Obama supports Girl Scouts! An awesome video made by GSUSA and the First Lady Michelle Obama! “Girl Scout volunteers can be moms, dads, aunts, uncles, grandparents, or anyone else looking to help girls in their community fulfill their boundless promise,” said First Lady Michelle Obama. Previous Previous post: GIRL SPEAK: What’s space camp like?